A divorce legally terminates a marriage whereas an annulment invalidates it, i.e. treats the marriage as if it never happened. Every state has established laws addressing annulment. Some states grant different rights to former spouses in annulled marriages than to divorced couples. Additionally, in some states, a spouse may lose her right to seek an annulment if she becomes aware of the grounds and continues cohabiting. Every state recognizes grounds for the annulment of a marriage. A state's laws may set specific criteria for annulment based on a spouse's mental incapacity, mental illness or insanity. If a spouse lacked the mental capacity to understand the obligations of marriage when applying for a license or at the time the service was performed, a state court may annul the marriage because the spouse lacked the capacity to voluntarily consent to the union. To obtain an annulment based on mental incapacity, the person seeking the annulment must show that the disabled party meets the definition of mental incapacity set by state law for the purpose of marriage annulment. In most states, the party seeking an annulment must fill out a form and file the paperwork with the appropriate court. The paperwork usually requires the petitioner to provide information about the marriage and explain the grounds for annulment. The petitioner must usually serve a copy of the paperwork on the other spouse in accordance with the state's service of process rules. After the papers have been filed with the court and served on the spouse, the court may schedule a date for a hearing. During the hearing, the judge will consider the arguments presented by both sides and decide whether to grant an annulment. In most states, either spouse has legal standing to initiate a court action seeking an annulment. In some states, a third party might be able file for the annulment on behalf of one of the spouses. For example, a parent may be able to request an annulment on behalf of a mentally incapacitated son or daughter. Some states allow a "next friend" (an adult appointed by the court to protect a party's interests) to file for an annulment when the marriage is voidable by reason of mental incapacity. 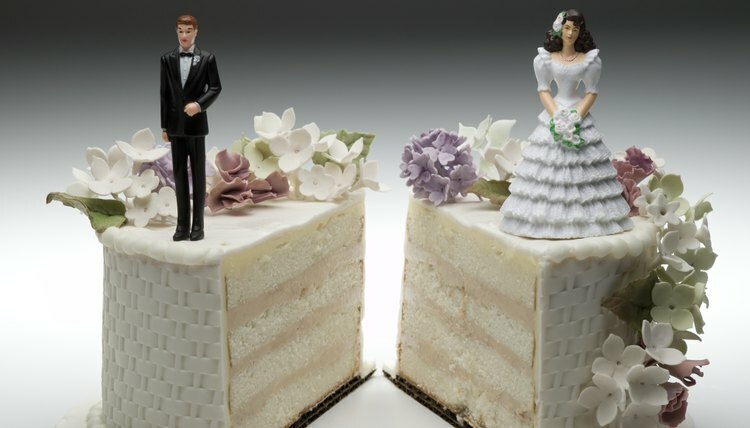 Divorce laws are different from state to state. Iowa's procedures for divorce, also called dissolution of marriage, are set forth in the state's code. The law addresses the requirements that must be met in order to file in Iowa, as well as the procedures for dividing the marital property and awarding alimony.